Earlier this week, Research Contracts and Intellectual Property Services at the University of Cape Town (UCT) hosted a workshop entitled “Unlocking medical device innovation within UCT.” Funded by the National Intellectual Property Management Office, the organizers were keen to facilitate discussion around the current state of medical device development and explore opportunities for enhancing this activity in the future. They focused on: support for prototyping; market research and the potential impact of devices; how to manage low volume yet useful products; manufacturing and regulatory considerations; challenges of infrastructure and human capacity; and identifying strengths and competitive capabilities. The workshop was kicked off by Mladen Poluta who spoke about the Global Forum on Medical Devices organized by the WHO and in particular their focus on innovative health technologies for low-resource settings. This was followed by Delva Shamley who described the new UCT Clinical Research Centre which supports study design and protocol development, sponsorship of clinical trials, data management, analysis and publication. Brian Goemans of Medical Devices to Market gave an overview of ISO13485 certification and the CE Mark, while Kevin Katz of TiTaMED provided key insights for entrepreneurs seeking to commercialise a medical device. Four academic staff members – George Vicatos, Tom Franz, Sudesh Sivarasu and Lester John – provided feedback on capacity development and insights as inventors, while Rowan Joseph of Von Seidels spoke about the vital role of patents. Finally, executives from three UCT spin-out companies gave their perspectives. Kit Vaughan of CapeRay, Heather Coombes of Strait Access Technologies and Khilona Radia of Antrum Biotech addressed five topics: (1) the challenges faced in creating the spin-out; (2) shared needs between companies; (3) business limitations in the medical device industry; (4) resources available for spin-outs; and (5) recommendations regarding assistance from UCT. Aside from Allan Cormack’s pioneering work on computer tomography done at UCT in 1956-57, the most successful medical device to have come out of the university is probably the cable grip system. In the late 1970s, orthopaedic surgeon Des Dall and mechanical engineer Tony Miles began their collaboration to find a better method for re-attaching the greater trochanter after total hip replacement surgery. US patent 4,269,180 was granted in 1981, their clinical trial was published two years later in the Journal of Bone and Joint Surgery, and the device was licensed to Howmedica. 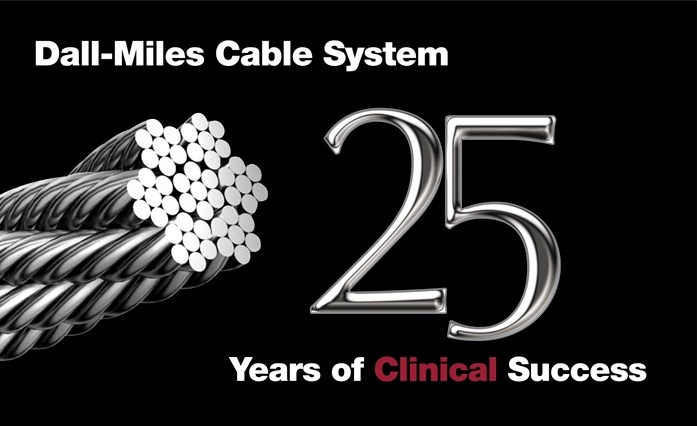 Twenty-five years later, the product and accessories are still available, and worldwide more than two million Dall-Miles cable grip systems have been implanted. That’s some contribution! It is good that this kind of workshop was organized, because as a responsible consultant for the Ministry of Foreign Affairs of the Nehrelands, I’ll think that the SA government could do more to support the entrepreneurs from South Africa to enter the EU and other markets. A very good examples is the cooperation between Clairemed from CapeTown and Professor Doctor Paul van den Berg, anaesthetist/Intensivistiden University at that time) in the prevention of Multi Organ Failure. This is only one eaxample, BUT IN MY OPINION IT COULD BE MUCH MORE. Such as Caperay in cooperation with the Universitry of Njjmegen etc. etc. It is a goiod step ahead.